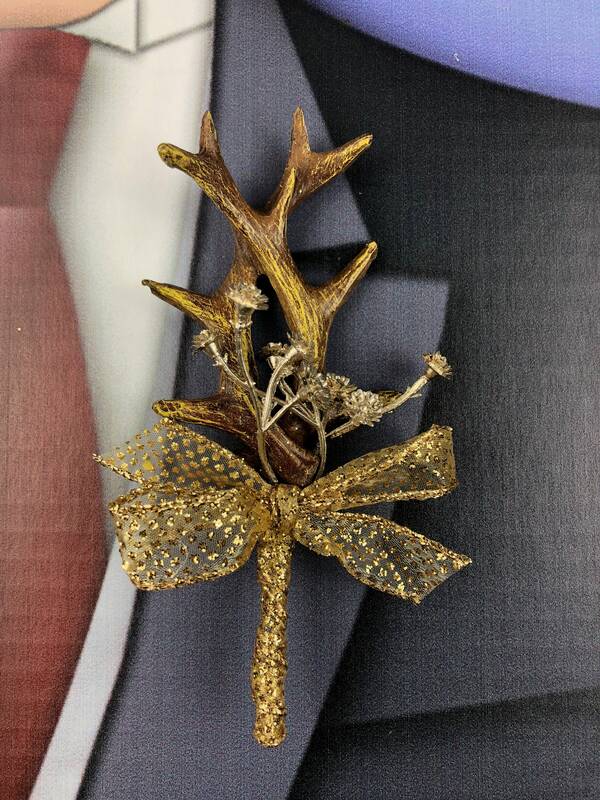 This listing is for 1 Artificial Antler Boutonniere with a sprig of Gold Baby's Breath. Resin Deer Antlers 4"H X 3"W X 2"D with Glittering Gold Ribbon. This was absolutely perfect for my parents' 50th Wedding Anniversary Celebration!! My dad thought he was getting a traditional groom's cake and boutonniere. Instead, I surprised him and all the male family members with these Antler Boutonnieres to match the hunter's groom cake! Everyone loved them! Thank you so much for the fast shipping of this quality product. I highly recommend this item!